Every year, Samsung launches two premium high-end devices in the global market, and since the company already launched the S9 and S9+ in the Q1, everyone is looking forward to the Samsung Galaxy Note 9. There is still a lot of time for the official launch as we expect it to happen in August-September, but with each passing day, we are getting some new information about the device. Recently, a Samsung Executive confirmed that the Galaxy Note 9 is coming with Bixby 2.0, so we can expect some great features to compete with Google Assistant. 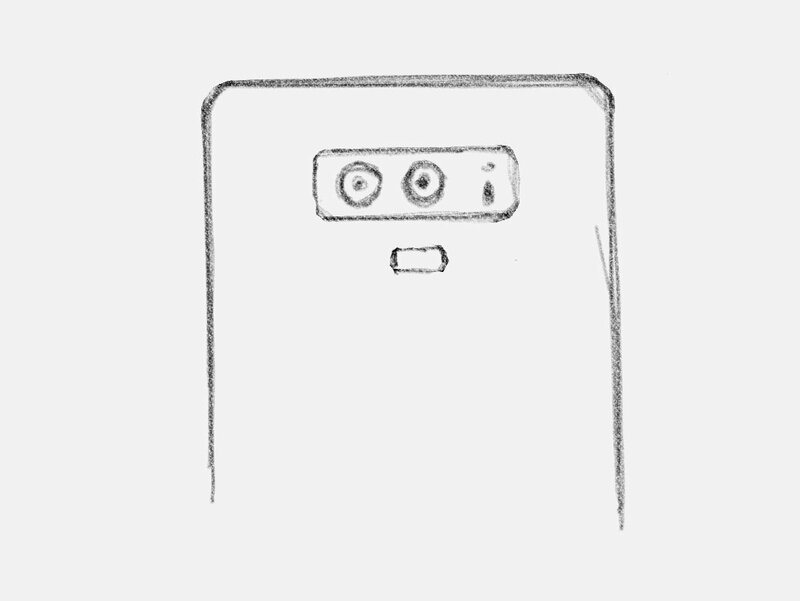 Today, a reliable source shared a drawing that might just have revealed the design of Galaxy Note 9 from the rear. Is this how the Samsung Galaxy Note 9 going to look like? So, if the drawing above is legit, the Samsung Galaxy Note 9 is coming with a horizontal dual camera setup, just like last year’s Galaxy Note 8. The only difference is the location of fingerprint reader which is now placed below the camera setup. It is pretty weird since the Galaxy S9 and S9+ have a vertical camera setup and we are expecting the same on Note 9. Well, as always, it is suggested to consider all these leaks with a pinch of salt as most of them are going to be fake. Stay tuned for more details on the Galaxy Note 9.